Live the good life outdoors...New Outdoor Collections! Unexpected, yet timeless, our Havana collection offers a new take on outdoor furniture. Inspired by open cane weaving, but updated in all-weather, natural resin wicker, plays a textural counterpoint to the black aluminum frame. The gently curved silhouette of this collection play part to this sleek and mid-century modern design. Sink into the cloud-like comfort of the Montecito collection that features oversized proportions that add to this collections’ intriguing aesthetic design. Inspired by the art of hand woven basketry, the large wicker weave offers a relaxed look and feel to this low, linear profile frame. Our plush, ultra-dense, Trillium Cloud cushion offers optimal comfort as it mimics the characteristics of natural down, but is entirely hypoallergenic. Montecito is finished in our UV resistant, N-Dura resin wicker for a worry-free experience with the look of natural materials. 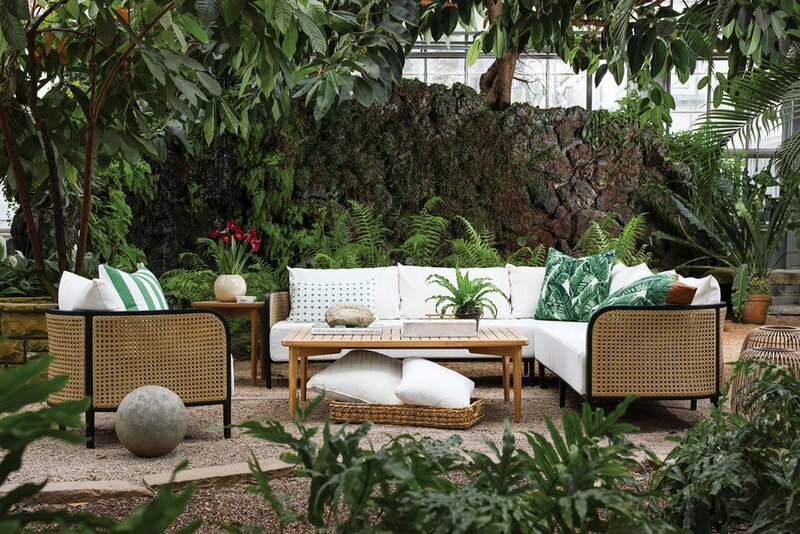 With the 1950’s beach look of vintage rattan furniture, White Label’s Newport collection combines the beauty of indoor and outdoor rooms. A subtle brush finish applied to the N-Dura Resin material adds a nice texture that gives the pieces a natural finish. The designer line mixes elegantly with other pieces in the White Label collection.